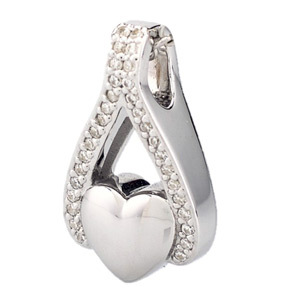 This stunning Sterling silver Belgravia necklace pendant is a classic heart with a silver hanging mount embellished with pretty clear cubic zirconia stones. 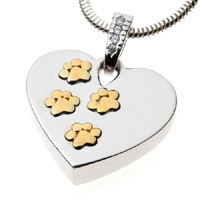 The pendant has a small urn space for a tiny keepsake pinch/portion of pet ashes, keeping beloved memories with you. At the back is a small secure threaded opening. 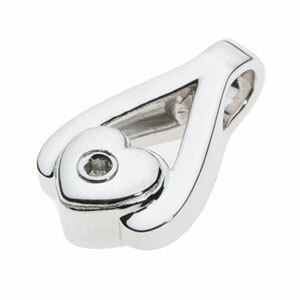 A lovely piece of jewellery and beautiful keepsake. 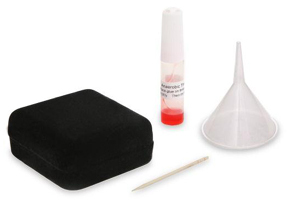 Comes in a presentation box complete with a custom made funnel and sealant - ensuring a simple process with a long lasting effect. 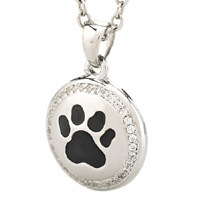 Please note this is a pendant only. Necklace chain not included.